PA legislators considering making opioid prescription guidelines mandatory. Blue Cross Blue Shield members are being prescribed fewer opioids at lower doses, the insurance giant said in a report released Thursday. Officials said they're "making headway" in a crisis that killed tens of thousands in 2016. In the Philadelphia region — which includes parts of Pennsylvania, Maryland, New Jersey, and Delaware, and where Independence Blue Cross is the largest private insurer — opioid prescriptions among BCBS members dropped by 32 percent between 2013 and 2017. That's more than the national average, which saw such prescriptions drop by 29 percent in the same time period. But nearly 242,000 members were diagnosed with opioid-use disorder in 2017 alone — with 7.9 diagnoses per 1,000 members in the Philadelphia region, the company said. "We have seen an increase in the utilization of medication-assisted treatment into 2017, and then it kind of plateaued," said Virginia Calega, Independence Blue Cross's vice president of medical management and policy. Opioid prescriptions among Blue Cross Blue Shield members dropped by 29 percent nationally from 2013 to 2017, according to a report released Thursday. The decline in local states exceeded the national average, with prescriptions down 35 percent in Pennsylvania, and 41 percent in New Jersey. Though prescription painkillers have been largely blamed for initiating the overdose crisis, last year a Centers for Disease Control and Prevention official told a congressional committee that heroin and illicit fentanyl, a synthetic opioid that's much more powerful than heroin, are now fueling the continuing rise in overdose deaths. In Philadelphia, drug overdose deaths increased from 907 in 2016 to 1,217 in 2017 — with fentanyl present in 846 cases. Calega said that getting more patients on medication-assisted treatment, considered the gold standard for achieving lasting recovery, may be limited by federal restrictions on recovery medications such as suboxone, which is itself an opioid. Used as directed, it staves off the cravings and withdrawal pains that often doom recovery efforts, but it doesn't create euphoric effects. Independence no longer requires pharmacies to obtain preauthorization before dispensing the drug. But doctors are still required to undergo training and obtain a waiver from the Drug Enforcement Administration before they can prescribe suboxone — meaning it can be more difficult to prescribe treatment than to prescribe a narcotic. The waiver requirement limits the number of doctors available to treat patients. Providers, Calega said, have begun to talk about "whether it's time to start trying to get more providers trained to deliver suboxone therapy." Independence, like numerous other insurers, medical practices, and public health agencies including the Philadelphia Health Department, has worked to limit opioid prescribing. Last year, Calega said, Independence began restricting opioid prescriptions to a five-day supply for first-time users on a low dose. (Patients with cancer and terminal illnesses are exempted.) Calega said that policy change is driving drops in opioid prescribing and use. Members using opioids dropped by 22 percent in the last six months of 2017 and the number of opioid prescriptions dropped by 26 percent, compared to the same period in 2016. The company said that it also reached out to about 1,000 Independence doctors whose patients were taking more than the opioid doses recommended by the CDC; 60 percent "changed or decreased their prescribing habits" over a six-month period. 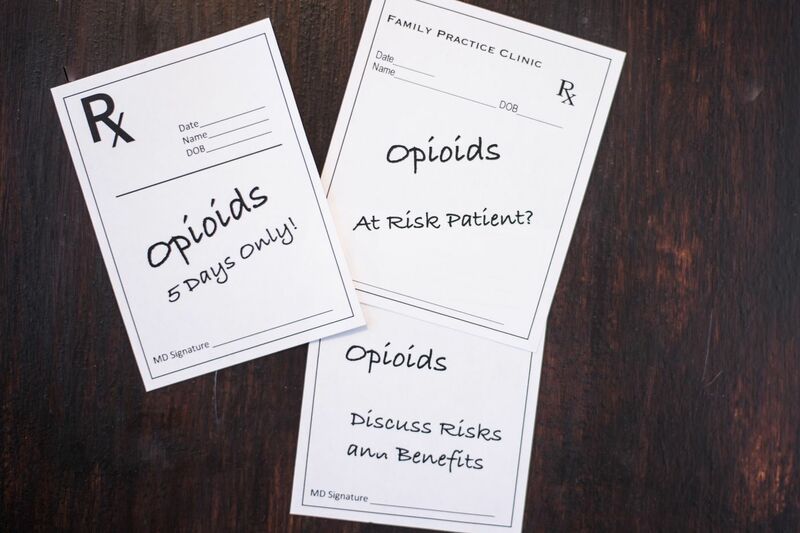 "We really try to educate providers on alternatives to opioids — and to be careful about how many days you're prescribing them for," Calega said. "We had been seeing issues where people would go in for wisdom-teeth removal, and get a 30-day prescription for a narcotic." At the same time, some chronic pain patients and advocates have said attempts to rein in prescribing are hurting people who need the medication to function. The region's other major insurer, Aetna, requires chronic pain patients to obtain a prior authorization every year for opioid doses over a certain level. (Independence Blue Cross also requires prior authorizations, but not at a particular dose.) Calega said the company's prescribing practices are focused mostly on first-time opioid users: "We're trying to stop anyone starting on that journey."